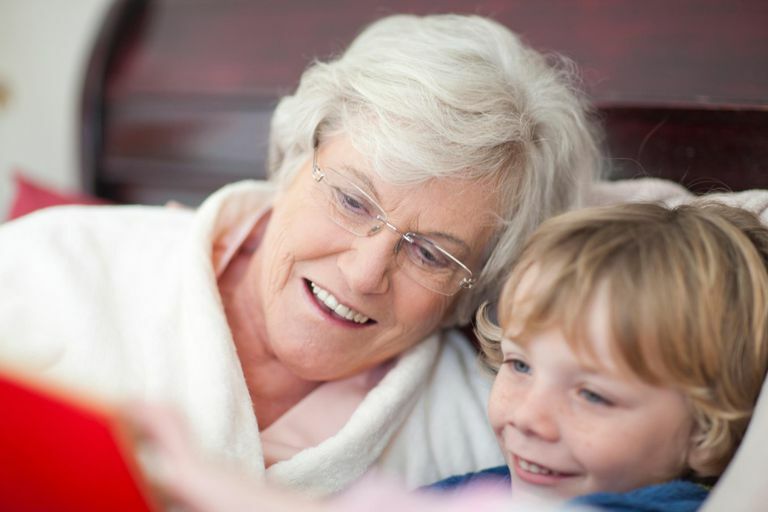 Modern grandmothers are expanding their roles and selecting varied names for themselves. There are lots of Omas who aren't German and many Lolas who aren't Filipino. If you like the sound of one of these ethnic names or a grandmother name from another country, you should feel free to select it, although it's a good idea to discuss whatever name you choose with the parents of your grandchild first. Many of these names appear in several variations and spellings. Remember that languages use a variety of alphabets, which makes translating them into English tricky. These names are among those most frequently chosen just because they sound good and are easy to say and spell. Filipino: Lola is the most popular grandmother name. Other names used by Filipinos include inang and its variations indang, nanang, ingkong and nanay. French: Popular choices are Grand-mère or Grandmere, but Grand-maman is also used occasionally, along with Gra-mere, Mémé, and Mamé. French Canadian: Mémé and Mamie are most often used by French Canadians. German: Oma is one of the most popular ethnic names for grandmother and is often used by grandmothers with no German heritage. Greek: Maybe because it just sounds joyful, the Greek YaYa is a popular grandmother nickname. It's sometimes hyphenated and sometimes rendered as YiaYia. Hawaiian: Tutu is often used for grandparents of both genders, although technically grandmothers are Tutu Wahine and grandfathers are Tutu Kane. Italian: Nonna is a popular grandmother's name, possibly because it is close to Nana and other familiar grandmother nicknames. The names that follow don't roll as trippingly off the tongue, and some of them can be real challenges to spell. For that reason, not too many grandmothers select them unless they do reflect at least a part of their heritage. Also note: In Europe, where there has been a lot of movement across borders, grandmother names used in one country are frequently heard in neighboring countries as well. Hebrew: Jewish grandmothers typically choose either the Hebrew Savta or the Yiddish Bubbe. Both have several variant spellings. Chinese: Popular Chinese names for grandmothers include NaiNai, Ma Ma, Po Po and Wai Po, but the exact name chosen depends upon the region, the language and whether a grandmother is on the maternal or paternal side. Flemish: Flemish is spoken in Flanders, which is the northern part of Belgium. Bomma and Bommi are common Flemish names for a grandmother, but the Flemish also use Oma or Omi. Irish: Seanmháthair is Irish for grandmother, but Irish children are much more likely to use Maimeó or Móraí. Japanese: Obaasan is the Japanese word for grandmother, but Japanese boys and girls are much more likely to call their grandmothers Sobo or Soba. Korean: Halmoni is commonly used, although it can be spelled as Halmeoni or shorted to Halmi. Polish: Babcia, Babciu, Babunia, Babula, and Babusia are all variations of Polish names for grandmother. Is it any wonder that Polish grandchildren often shorten these terms to Baba? Portuguese: Both the Portuguese term for grandmother and the one for grandfather are spelled Avo, but they have different diacritical markings and pronunciations. Russian: Babushka is the Russian name for grandmother, and, yes, the Russian nesting dolls are sometimes called babushka dolls. Spanish: Abuela and Abuelita are common terms, often shortened to Lita. These grandmother names don't link to longer articles but do offer some interesting options. Armenia: The Armenian language is an ancient tongue that uses its own alphabet. The Armenian word for grandmother, transliterated, is Tatik. Cambodia: The official language is Khmer, and a grandmother is Yeay or Yiey. Croatia: The Croatian language is spoken in Croatia, Bosnia, Herzegovina and neighboring areas. The Croatian word for grandmother is Baka. Iceland: Amma is the Icelandic word for grandmother. In several other languages, the word means "mother." Malay: People in Singapore, Malaysia, and Indonesia may speak Malay. The Malay word for grandmother is Nenek. Romania: People in Romania and Moldova may speak Romanian and may call their grandmother Bunica. Swahili: Many Africans speak Swahili. It is the official language of Tanzania, Kenya, and the Democratic Republic of the Congo. The Swahili word for grandmother is Bibi.